Oil extracted from the fruit of olive trees has a wide range of not only culinary uses but also therapeutic uses. The main active molecules in olive oil are oleic acid, phenolic constituents, and squalene. Also found are the phenolics hydroxytyrosol, tyrosol, and oleuropein which have shown antioxidant activity. Virgin olive oil contains the highest levels of these molecules. These molecules are thought to be accountable for a many of olive oil’s biological behavior. 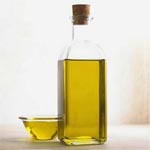 Oleic acid has shown activity in cancer prevention, while squalene has also been identified as having anticancer effects. Research has shown that consuming olive oil is beneficial for colon cancer as well as breast cancer.